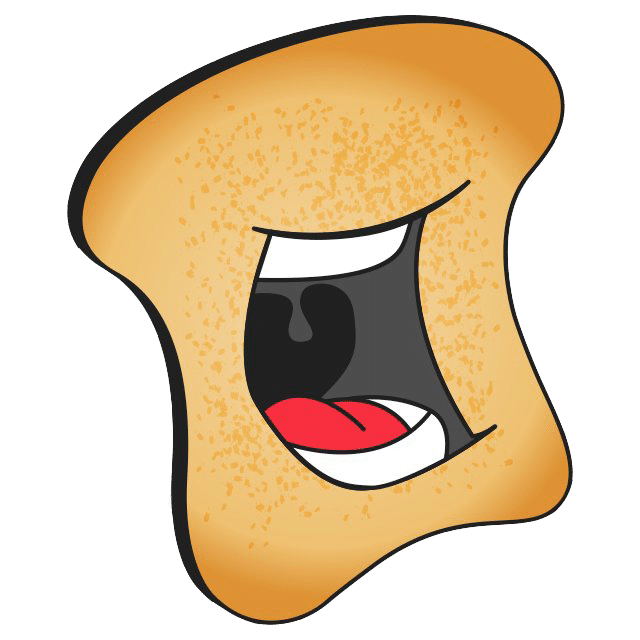 Home Cannabis Are CBD Dog Treats The New Wave Of Cannabis? Like humans, dogs have an endocannabinoid system. Since we’re not 100 percent sure of all of its functions and finer details, all we can really decipher is that it’s under-serviced for the time being. In humans, that often means throwing the broad spectrum of cannabinoids at a concern, but this strategy does not work with dogs. THC is never a good idea for a pup, as it makes them nervous and anxious. 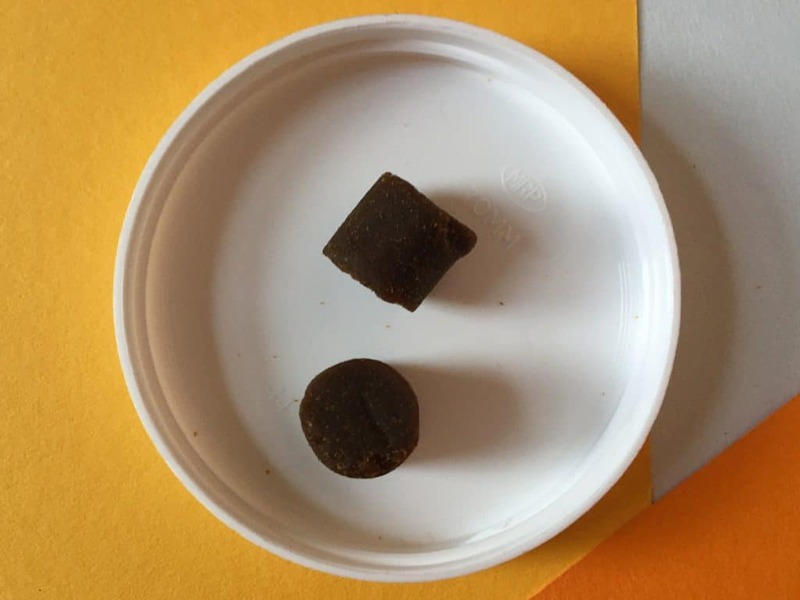 We do know that non-psychoactive in humans CBD is also not psychoactive in dogs, so many have been seeking it out to help with various canine issues. My babe Chaco is a senior Boston Terrier/Beagle mix and she’s got her share of quirks. A licking fixation paired with a traditional Beagle food obsession combines to make her one misbehaved mess if the conditions are right. For this reason, she is crated when alone and we keep anything she would eat out of reach. 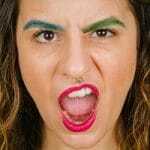 With such a high energy and potentially destructive set of anxieties, she’s a great candidate for something of this nature. 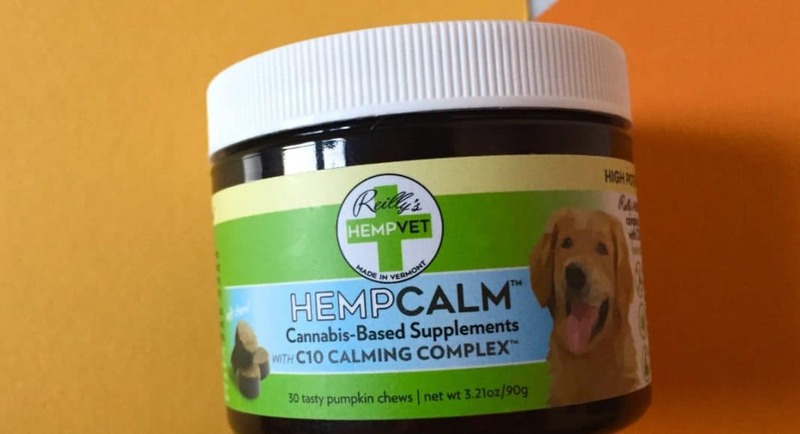 We got some Reilly’s Hemp Vet cannabis-based supplements for her to try out, and she’s been having at least one per day for about three weeks now. She’s been having the HempJoint and HempCalm High Potency Chews, which are formulated to have more than just CBD in the mix. Being small sized chews, they’re easy to add to your dogs diet without worrying about weight gain or excess fat. One chew is two doses for a small dog, one for a medium, and half a dose for a big boy (or girl). 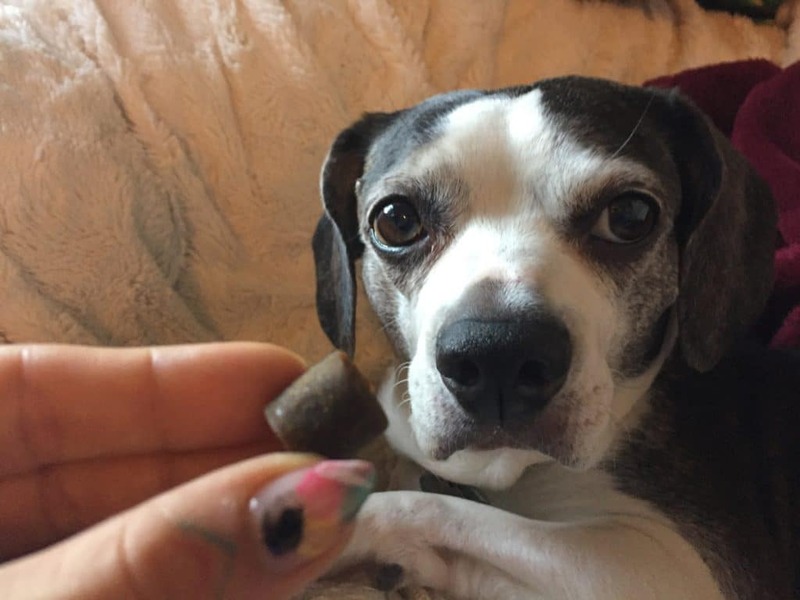 HempJoint bites are a great move for very active and older dogs alike. In addition to the full-spectrum hemp, there’s glucosamine, MSM, and omega 3 and 6. 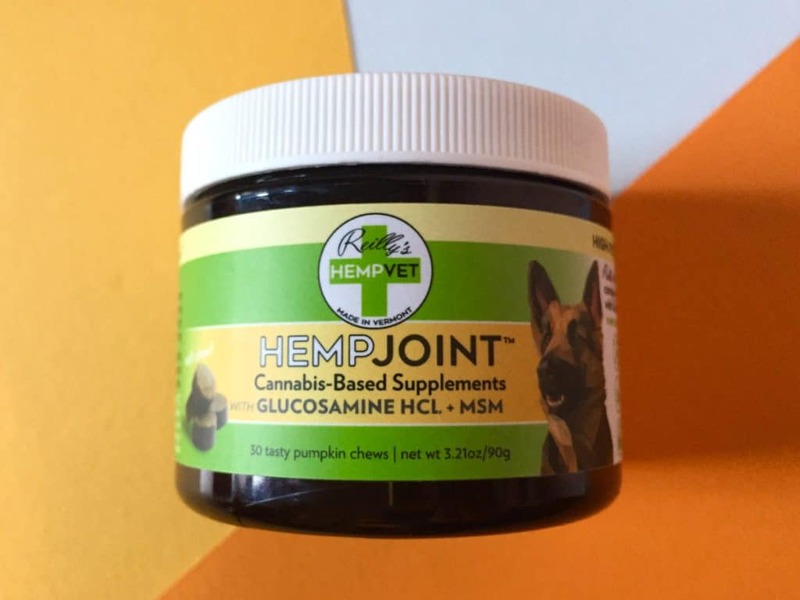 This formula helps to keep joints in good shape, and when we swapped them in for her usual glucosamine treat, she showed no signs of soreness or change in her regimen. After spending most of Christmas jumping off things at my mom’s house, she’s usually a little limpy, but she’s walking fine, which is a huge relief to us. 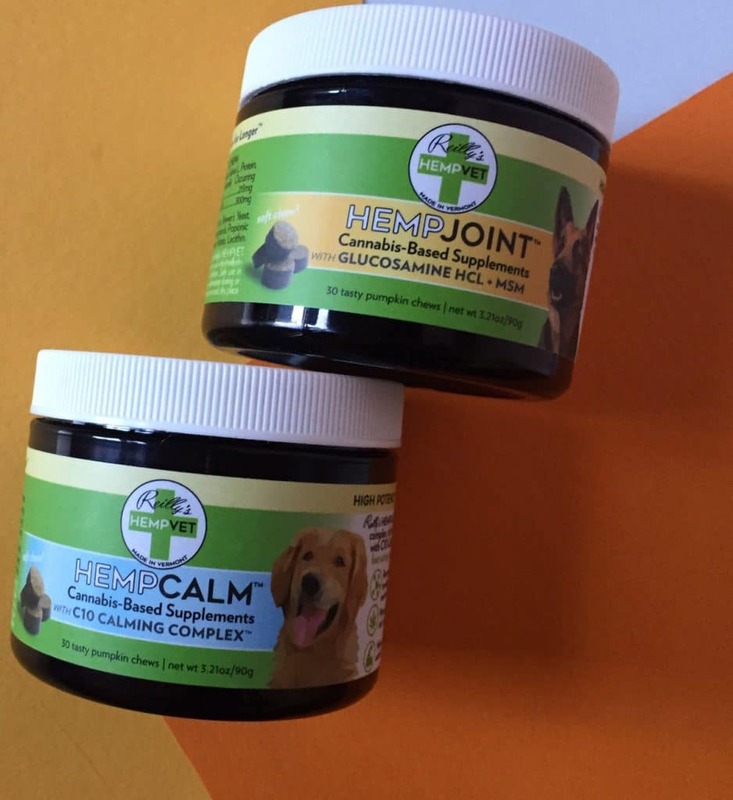 HempCalm didn’t provide us a distinct result, but that could be unnoticeable in a senior pup. Chaco sleeps many hours of the day as it is, so it’s hard to tell when “calm” is more than just normal 11-year-old behavior. We did give her one chew before a car trip, and she seemed ever-so-slightly less freaked out during the ride. I’d like to up the dose slightly, as you give half a treat per 25lbs. She’s in the middle of the dose spectrum and in the future, we’ll see how much more chill she gets when anxious or traveling. Other than a calming effect or anxiety relief, there’s definitely an overall well-being aspect to giving these treats to your dog. As we already know, they aren’t getting any cannabinoids despite having, like humans, an endocannabinoid system. Until more vets are on board, this is an off-label product for many pet owners, but being that people are reporting a better quality of life in sick and aging dogs, it’s worth a shot if you want to reach for this treatment.